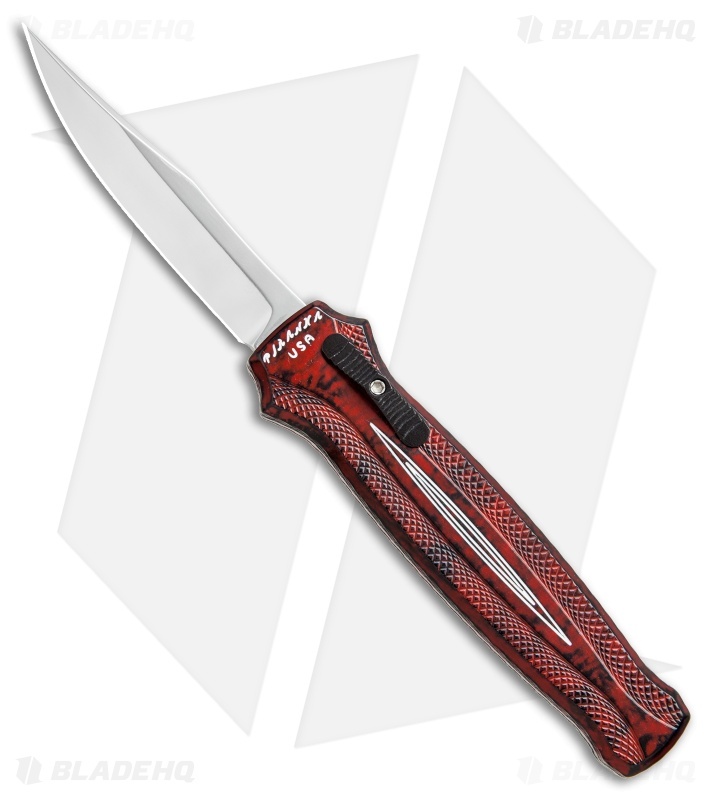 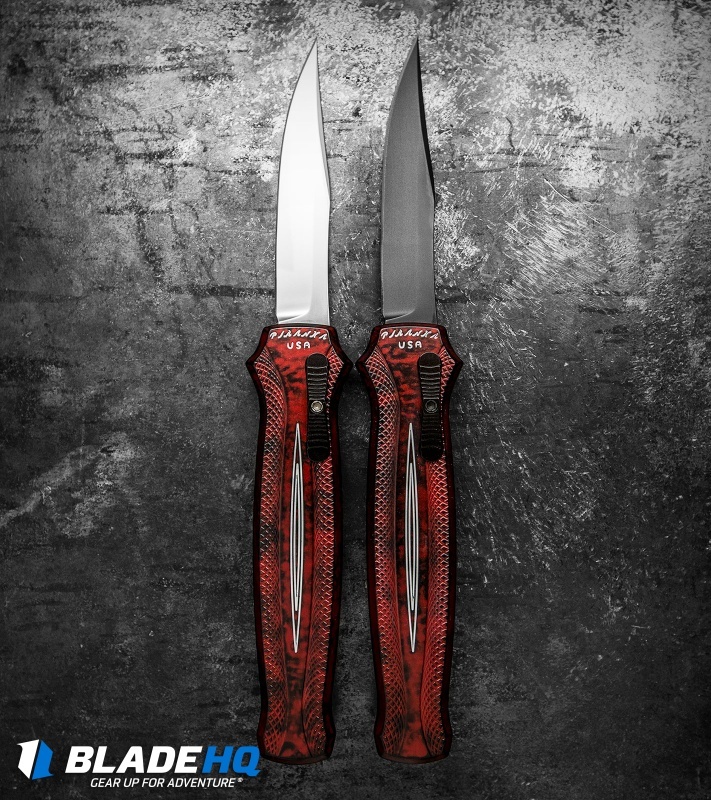 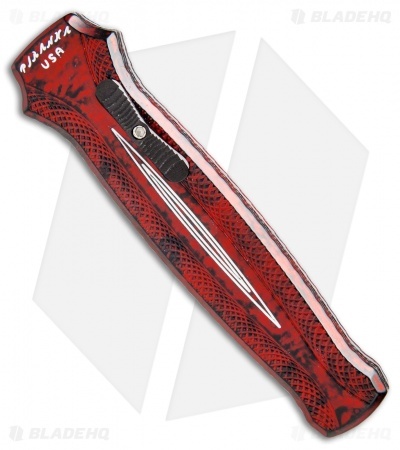 This Rated-R model is equipped with a mirror polished 154-CM blade and a red anodized aluminum handle. 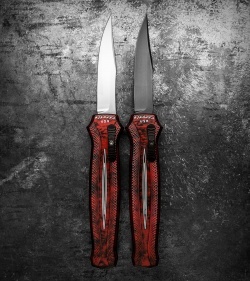 The Piranha Rated-R features powerful, reliable out-the-front automatic double action in a lightweight pocket-friendly design. Its front mounted sliding firing button is located on the right side of the handle for easy access. A textured pattern and chamfered edges on the aluminum handle ensures a secure and comfortable grip at all times. 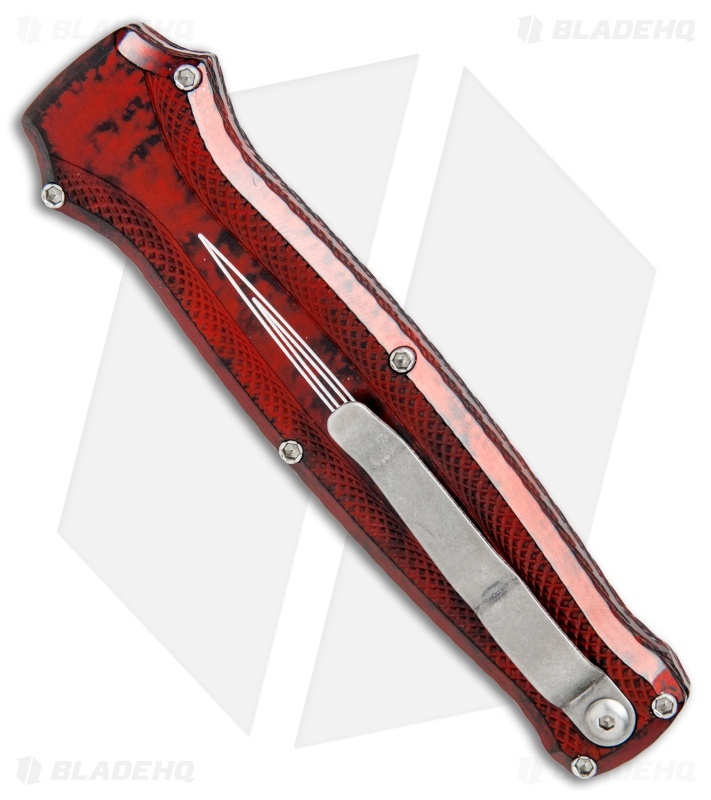 Includes a secure titanium pocket clip for tip-down carry.